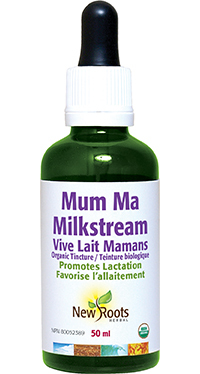 Mum Ma Milkstream is used to promote lactation and enhance the quality of breast milk. This combination is high in minerals, particularly calcium and magnesium. Shake well. Adults: Take 3 teaspoons once daily or as directed by your health-care practitioner. For occasional use only. Other ingredients: Organic alcohol (25%), purified water, and organic vegetable glycerin.